To give finishing touch to your years of preparation Made easy has launched A Handbook on Civil Engineering. It contains well-illustrated formulae & Key theory concepts. It is a must have book for all civil engineering aspirant who is preparing for competitive exams. It is useful for IES, GATE, PSUs & Other competitive exams. It is revised and updated edition. You may download PDF of this book from below link as a sample. 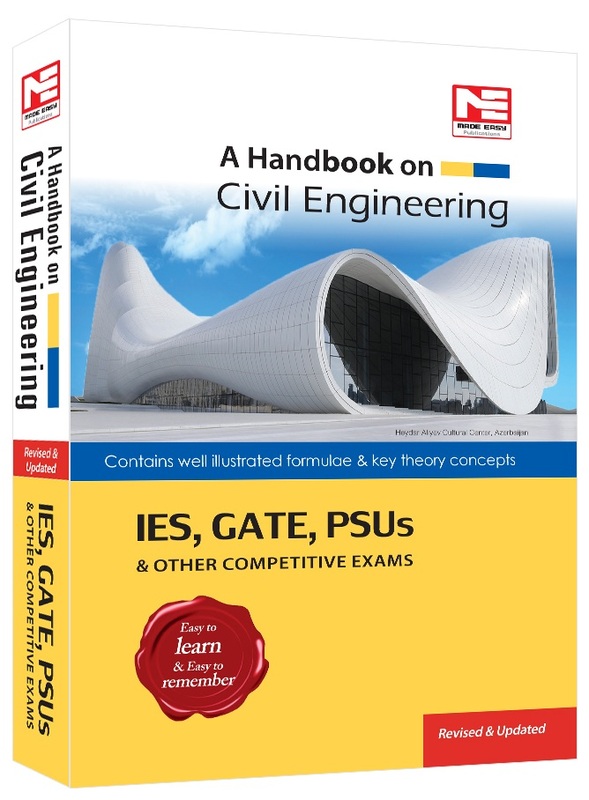 It contains key formulae of all Civil engineering topics. To keep your concepts brush up before exam must purchase this book.